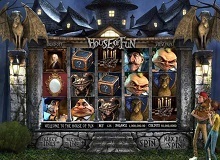 The House of Fun slot is the best slot for you if you seek fun and adventure. It has five reels, 30 paylines, and its graphics is out of this world. BetSoft develops it, and you are assured of a thrilling play session while you are playing the game. Did you know you could play House of Fun slot for real money? Read on to find out. To playHouse of Fun slot machine online, you have to know the basics. The display is top notch and very interactive, so you might not face many troubles. On the interface, you have the balance, bet, and credits displayed clearly. All your winnings are shown at the top of the screen for quick and easy monitoring. Other customization options allow you to make the game look as you please. The graphics are superb; the animation and creative symbols are just amazing with the spooks they send down your spine. Popup bonuses and other elements present in the game. Coupled with the sounds and graphics that indicate that BetSoft develops it. This online casino is compatible with Mac, Linux, and Windows operating systems on laptops and PCs. However, it is not yet available on mobile devices. The game is based on the adventure of a teenage couple that sends a lot of thrills and climaxes your way as you play. It is the ultimate thrill for those who love adventure, love, and a passion for gambling. In the introduction screen, you would experience something without much difference to a horror movie. A wrought iron gate opens and welcomes you to a castle that would surely give you the creeps. The castle is located in the background of this screen, and the pathway is a nightmare waiting for you to pass. To make things worse, it raining and the entire place is dark because it is night time! If you dare look up to the top of the gate pillars, you would see gargoyles staring right at you with lightning flashing all over the place. All this is to give you a hint of the horrors that lie ahead. You have to witness all this to experience the adventure in a spooky house with a lot of strange and scary tenants. But you are not alone. You have Paul, Jane, and Chip their dog to lead you all the way to the shrill and thrills you seek. Don’t be scared when you see symbols like the Cheshire Cat, spooky Portrait, Gargoyles, Dwarf, and the Mirrors. 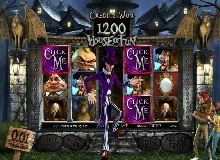 House of Fun casino slot online here to give you spooky enjoyment. There are bonuses in the House of Fun slot that help you advance and make real money at the same time. There is a scatter symbol in the mystery box of this casino. Getting three of these scatter symbols, you would see an animated jack popping out from out of nowhere, and the free spins feature gets activated. Once the free spins are activated, the entire reel center becomes wild and makes the game more profitable for you. Other features like the ‘Click-Me’ feature get triggered when you get three or more Mad Host symbols on the first reel, second reel or third reel. The round ends when you collect the symbols by clicking the collect symbol. The Escape Bonus gets triggered when 3 or more symbols of the Door Knocker appear on the reels. This means that you must choose a door that would help Paul and Jane exit as quick as possible and yield a faster payout for you! 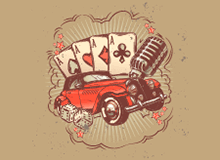 Like every other casinos online game, the House of Fun free game has limits and wins. The coin values are from 0.02 to 0.50, and you can wager about five credits per line to get a maximum value of 125 credits. To get jackpots, you must make a maximum bet of 125 credits. With that, you can get a maximum payout of 12,500 credits. 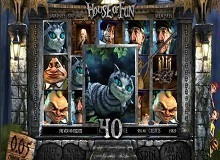 The House of Fun game is one of the best online gaming slots you can find. It has a ton of features that would keep you at the edge of your seat till you are tired of playing. Its display is very remarkable and full of enticing terrors. There are a lot of bonuses, and the RTP is going to make the entire gameplay worth your while. Just relax and enjoy this game to the fullest. Summary: Step into the house of fun, and have a ton of fun. Just don’t run away and leave your gang when you get the spooks.